Time for the Stash Bee roundup! I always enjoy the wide variety of blocks that I get to make, and this quarter was no exception. I finished up Margaret’s block just in time! It wasn’t completed the last day of September, but I was pretty close. 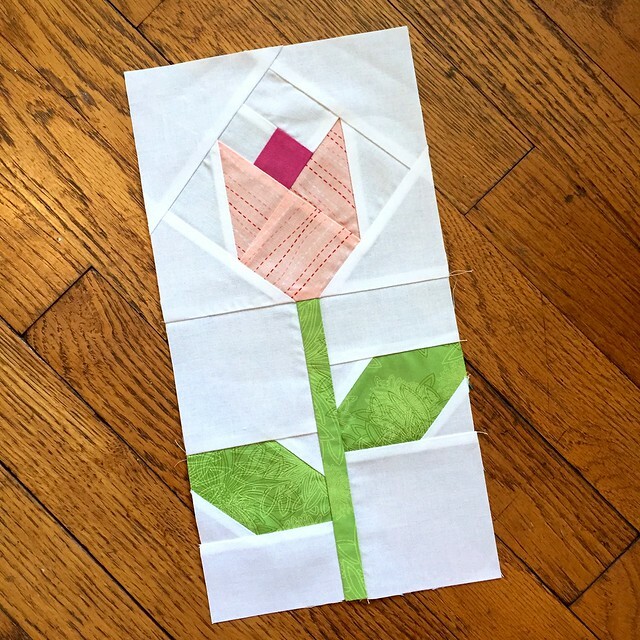 This field of flowers is going to make such a cheerful quilt! August was a fun month making these blocks for Debbie. Even though this block was in the middle of some personal projects with too many HSTs, I really enjoyed making it. 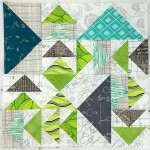 I still love these colors, and can’t wait to see the finished quilt! In July, we made string blocks for Martina. I’ve only made string block once before and they are so relaxing and fun. Strings are one of my scrap categories, so maybe I’ll make one of these someday. 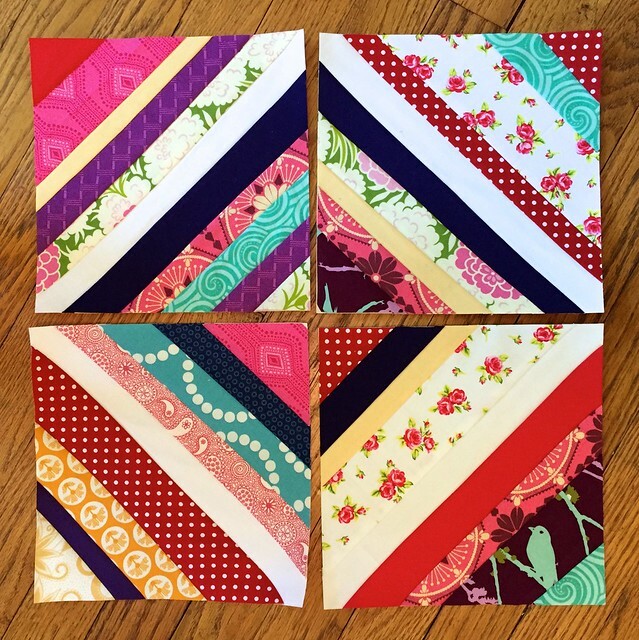 Just love the August and September blocks. I saved the tulip tutorial to try on my own later. 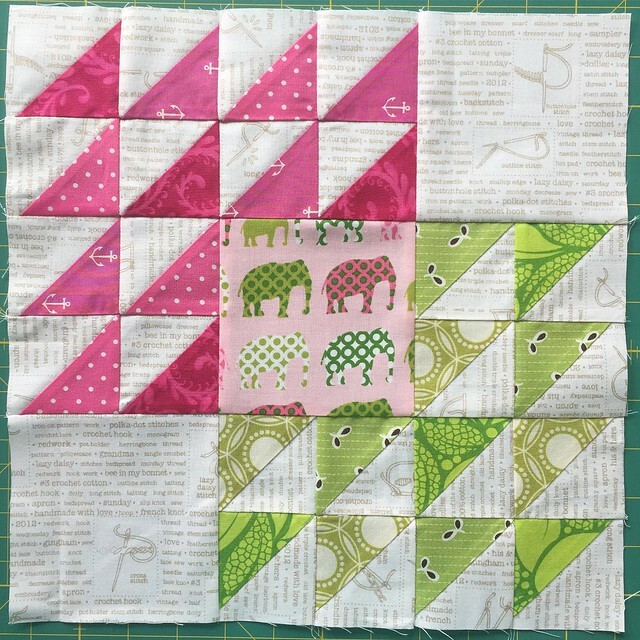 What I love about your August block is how perfectly you coordinated the HSTs to that adorable elephant fabric in the center. 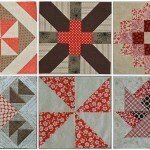 You Are Right, The Completed Quilts Will Be Awesome! I Love The Blocks You Made. They look great – I loved making the flowers and that elephant print is great for a fussy cut block! I too am saving strings in a seperate scrap box, but my heart belongs to your August and September blocks. 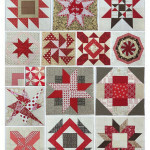 My name is Heather Seminelli and I love to piece, quilt, and sew. I have one very young daughter, a wheaten terrier and a wonderful husband. Thanks for stopping by! Receive blog updates by email!